The name of Schibuwaldje denotes a small area of woodland once used for shooting practice (see “Reading”, below). 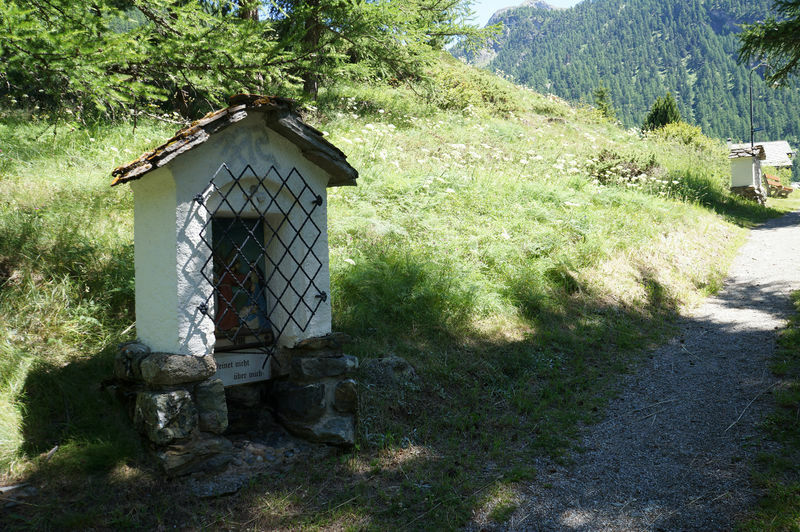 A path through this small forest from the village of Zermatt to the Winkelmatten district features the Stations of the Cross. The route leads past a cliff and numerous barns perched on stilts and flat round stones to keep out mice. This is a place of blissfully tranquillity, away from the busy village streets. 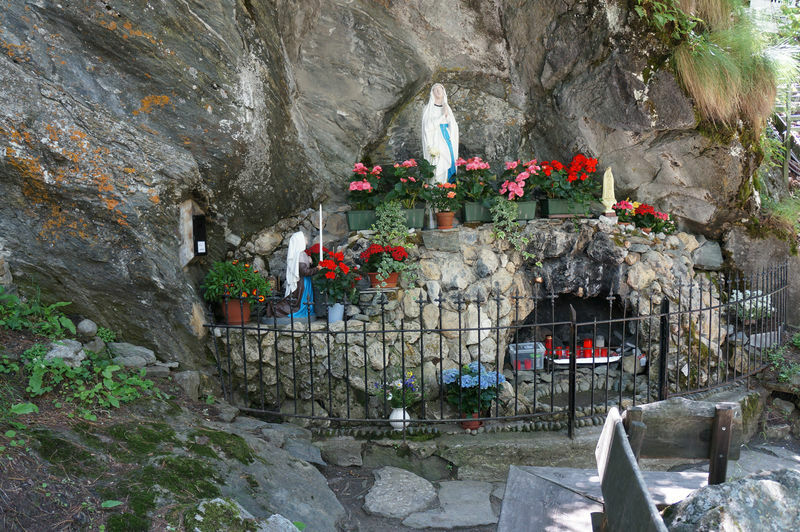 At the beginning of the Stations of the Cross stands the Lourdes grotto, with the Virgin Mary and the kneeling Bernadette at her feet, an oft-visited place of prayer. 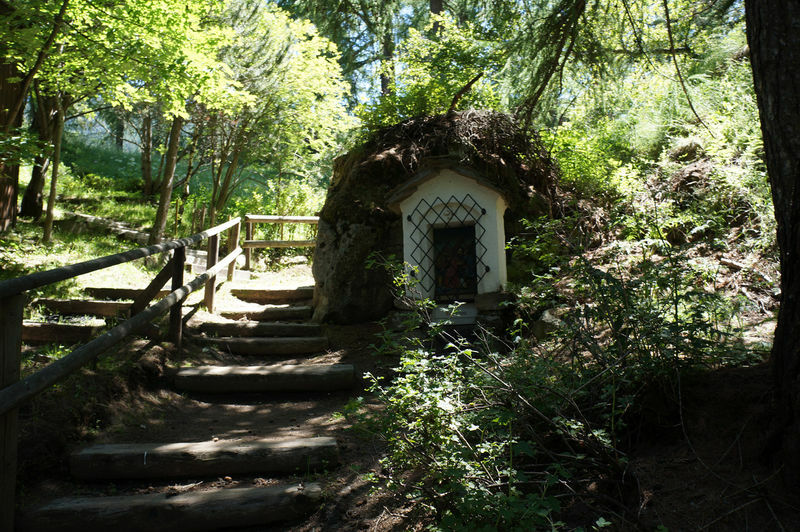 The wayside shrines, little whitewashed houses with grey stone slabs, have roof-like coverings. They were made by master bricklayer Alexander Schwarzen of Zermatt. The iron protective railings were forged in the workshop of Alfons Taugwalder. 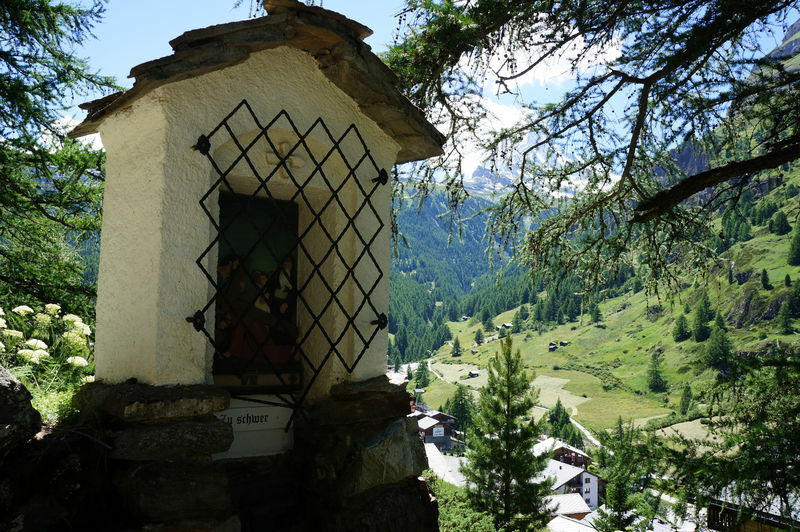 The images at the stations themselves were created by the Ticino company Ars Sacra Francini in Locarno; all the tablets are carved from wood, executed very simply in a rustic style and made weatherproof with a light colouration. Each individual shrine has a unique, original and highly unusual inscription. They are thought to be the work of the priest Gregor Brantschen (1894–1987), a composer and poet of the region with great sensitivity. The inscription of the XIII station has unfortunately been lost. The Stations of the Cross end at the chapel of Winkelmatten. For a few years now, at the start of Advent, a candlelit procession leads along the Stations of the Cross to Winkelmatten, followed by mass in the chapel.